New studies confirm that Africa is one of the most vulnerable continents to climate variability and change because of multiple stresses and low adaptive capacity. By 2020, between 75 million and 250 million people are projected to be exposed to increased water stress due to climate change. Toward the end of the 21st century, projected sea-level rise will affect low-lying coastal areas with large populations. Himalayan Glaciers Melting Faster Than Anywhere Else in World - Impact Could Devastate Over 1 Billion People. Learn more. According to a UN climate report, the Himalayan glaciers, which are the sources of Asia's biggest rivers, the Ganges, Indus, Brahmaputra, Yangtze, Mekong, Salween and Yellow, could disappear by 2035 as temperatures rise. Approximately three billion people live in the drainage basin of the Himalayan rivers, which is almost half of the current human population. Learn more. Glacier melt in the Himalayas is projected to increase flooding, increase rock avalanches from destabilized slopes, and affect water resources within the next two to three decades. Freshwater availability in Central, South, East and Southeast Asia, particularly in large river basins, is projected to decrease due to climate change, which, along with population growth and increasing demand from higher standards of living, could adversely affect more than a billion people by the 2050s. Coastal areas, especially heavily populated megadelta regions in South, East and Southeast Asia, will be at greatest risk due to increased flooding from the sea and, in some megadeltas, flooding from rivers. Crop yields could increase up to 20 percent in East and Southeast Asia, while they could decrease up to 30 percent in Central and South Asia by the mid-21st century. Sickness and death due to diarrheal disease, primarily associated with floods and droughts, are expected to rise in East, South and Southeast Asia due to projected changes in the hydrological cycle associated with global warming. "Industrialized, chemical-intensive agriculture and our globalized system of distributing food and fiber are literally destroying the earth, driving two billion farmers off the land, and producing a product which is increasingly contaminated. That's why the wave of the future is organic and sustainable, not GMO." For the first time, wide-ranging impacts of changes in current climate have been documented in Europe: retreating glaciers, longer growing seasons, shift of species ranges, and health impacts due to a heatwave of unprecedented magnitude. Nearly all European regions are anticipated to be negatively affected by some future impacts of climate change, and these will pose challenges to many economic sectors. In Southern Europe, climate change is projected to worsen conditions (high temperatures and drought) in a region already vulnerable to climate variability, and to reduce water availability, hydropower potential, summer tourism and, in general, crop productivity. In Central and Eastern Europe, summer precipitation is projected to decrease, causing higher water stress. 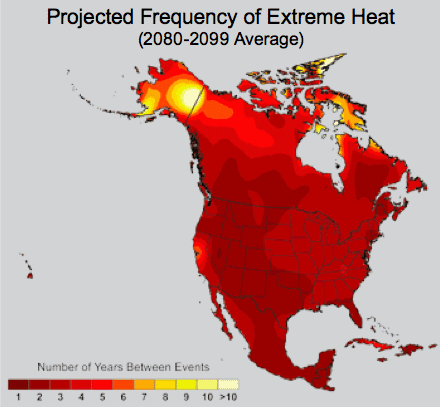 Health risks due to heatwaves are projected to increase. Forest productivity is expected to decline and the frequency of peatland fires to increase. In Northern Europe, climate change is initially projected to bring mixed effects, including some benefits such as reduced demand for heating, increased crop yields, and increased forest growth. However, as climate change continues, its negative impacts (including more frequent winter floods, endangered ecosystems and increasing ground instability) are likely to outweigh its benefits. "Sun Come Up is an ACADEMY AWARD® nominated film that shows the human face of climate change. The film follows the relocation of the Carteret Islanders, a community living on a remote island chain in the South Pacific Ocean, and now, some of the world’s first environmental refugees. Small islands, whether located in the tropics or higher latitudes, have characteristics that make them especially vulnerable to the effects of climate change, sea-level rise, and extreme events. Deterioration in coastal conditions, for example through erosion of beaches and coral bleaching, is expected to affect local resources, e.g., fisheries, and reduce the value of these destinations for tourism. Sea-level rise is expected to exacerbate inundation, storm surge, erosion, and other coastal hazards, thus threatening vital infrastructure, settlements, and facilities that support the livelihood of island communities. Climate change is projected by mid-century to reduce water resources in many small islands, e.g., in the Caribbean and Pacific, to the point where they become insufficient to meet demand during low-rainfall periods. With higher temperatures, increased invasion by non-native species is expected to occur, particularly on mid- and high-latitude islands. Water security problems are projected to intensify by 2030 in parts of Australia and New Zealand. 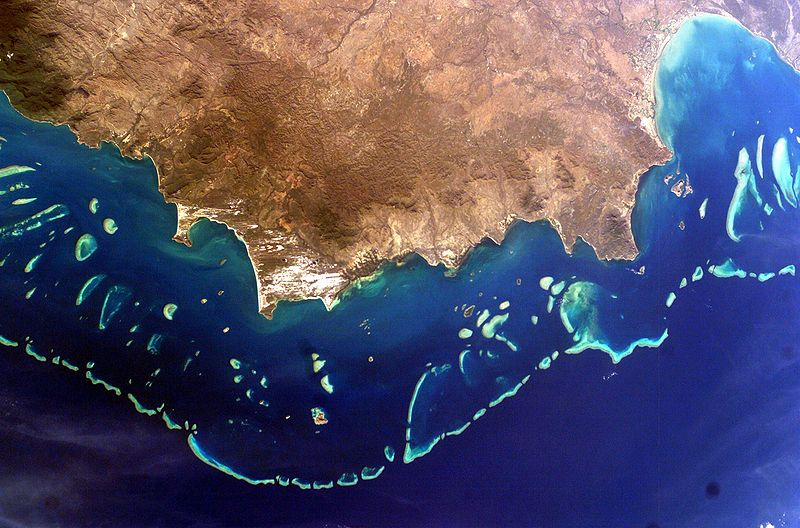 Significant loss of biodiversity is projected to occur by 2020 in some ecologically rich sites, including the Great Barrier Reef and Queensland Wet Tropics. Coastal development and population growth, in areas such as Cairns and Southeast Queensland (Australia) and Northland to Bay of Plenty (New Zealand), are projected to exacerbate risks from sea-level rise and increases in the severity and frequency of storms and coastal flooding by 2050. Production from agriculture and forestry by 2030 is projected to decline over much of southern and eastern Australia, and over parts of eastern New Zealand, due to increased drought and fire. However, in New Zealand, initial benefits are projected in western and southern areas and close to major rivers due to a longer growing season, less frost and increased rainfall. In 2007, the Commonwealth Scientific and Industrial Research Organization (CSIRO), an Australian government organization, reported that by 2020 there could be 65% more extreme fire danger days than in 1990. By 2050, according to the CSIRO report, the increase could be as high as 300%. Learn more. Scientists and environmentalists alike are warning Australians to brace for more extreme weather in the future due to increasing climate change. Learn more. Warming in western mountains is projected to cause decreased snowpack, more winter flooding, and reduced summer flows, exacerbating competition for over-allocated water resources. Disturbances from pests, diseases, and fire are projected to have increasing impacts on forests, with an extended period of high fire risk and large increases in area burned. 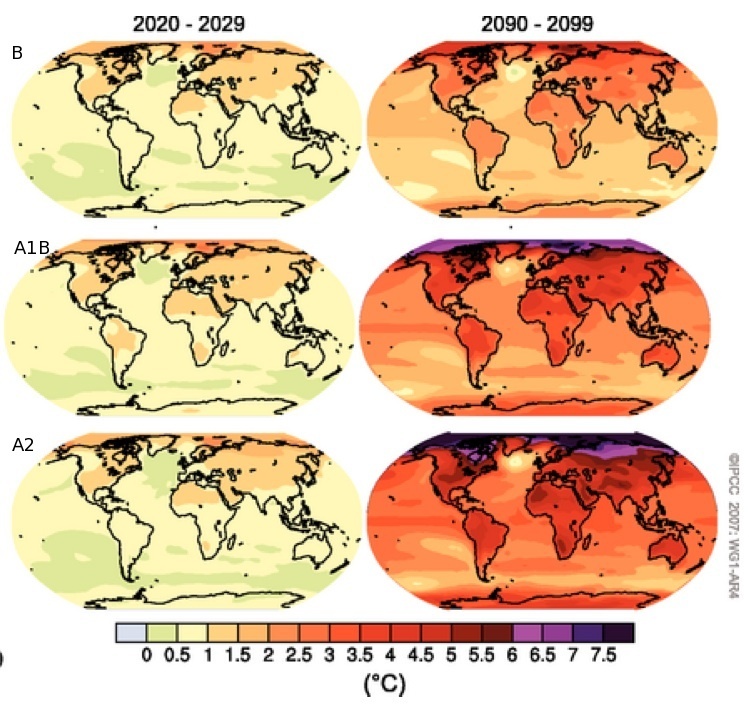 Moderate climate change in the early decades of the century is projected to increase aggregate yields of rain-fed agriculture by 5- 20 percent, but with important variability among regions. Major challenges are projected for crops that are near the warm end of their suitable range or which depend on highly utilized water resources. Cities that currently experience heatwaves are expected to be further challenged by an increased number, intensity and duration of heatwaves during the course of the century, with potential for adverse health impacts. Elderly populations are most at risk. Coastal communities and habitats will be increasingly stressed by climate change impacts interacting with development and pollution. Snowpack declines in the northern Rocky Mountains and upper Columbia River region are "almost unprecedented" in magnitude in the past 800 years, according to a study of tree ring data released by the journal Science in a peer-reviewed study asserting that man-made global warming is having an increased impact on snowpack. In much of the Northwest, snowpack is crucial for drinking water, hydropower, irrigation water and summer streamflows that support cold-water fish such as salmon and steelhead. Learn more. By mid-century, increases in temperature and associated decreases in soil water are projected to lead to gradual replacement of tropical forest by savanna in eastern Amazonia. 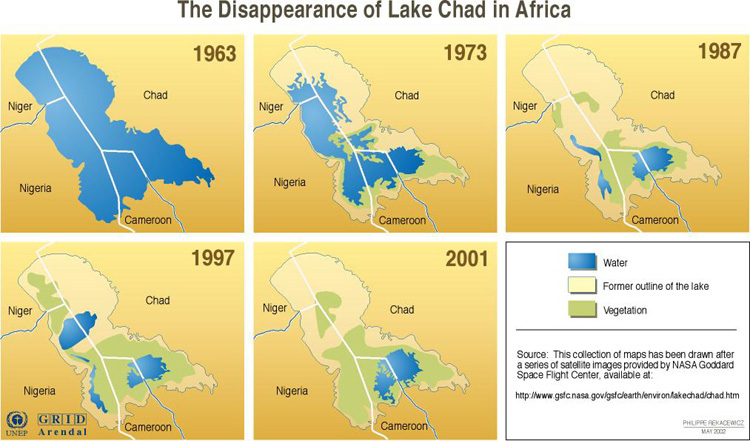 In drier areas, climate change is expected to lead to salinization and desertification of agricultural land. Productivity of some important crops is projected to decrease and livestock productivity to decline, with adverse consequences for food security. In temperate zones, soybean yields are projected to increase. Sea-level rise is projected to cause increased risk of flooding in low-lying areas. 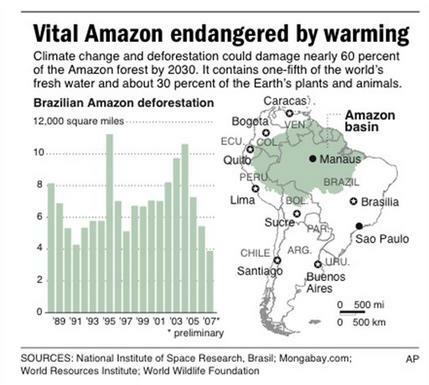 Changes in precipitation patterns and the disappearance of glaciers are projected to significantly affect water availability for human consumption, agriculture, and energy generation. Drought in Southern South America: Considered individually, many of the brown dots in the image represent a personal disaster, a farmer facing the prospect of a poor harvest or a herd of malnourished or dying cattle. As a whole, the image conveys something of the severity and extent of the disaster. Image Credit: NASA Earth Observatory | Click for source and to learn more. Click to enlarge and for sources. The main projected biophysical effects are reductions in thickness and extent of glaciers and ice sheets, and changes in natural ecosystems with detrimental effects on many organisms including migratory birds, mammals and higher predators. 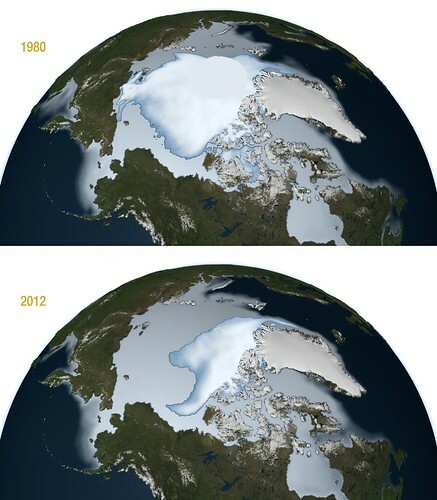 In the Arctic, additional impacts include reductions in the extent of sea ice and permafrost, increased coastal erosion, and an increase in the depth of permafrost seasonal thawing. For human communities in the Arctic, impacts, particularly those resulting from changing snow and ice conditions, are projected to be mixed. Detrimental impacts would include those on infrastructure and traditional indigenous ways of life. Beneficial impacts would include reduced heating costs and more navigable northern sea routes. In both polar regions, specific ecosystems and habitats are projected to be vulnerable, as climatic barriers to species invasions are lowered. 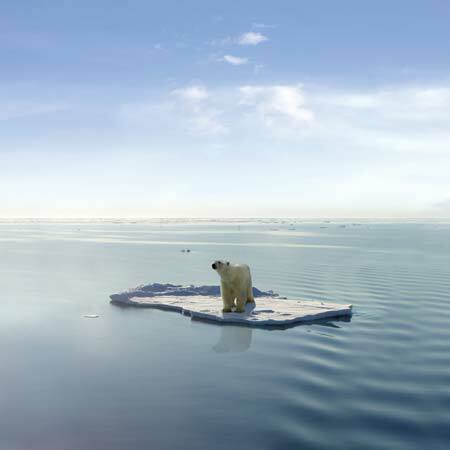 "The chief threat to the polar bear is the loss of its sea ice habitat due to global warming. As suggested by its specific scientific name (Ursus maritimus), the polar bear is actually a marine mammal that spends far more time at sea than it does on land. It is on the Arctic ice that the polar bear makes its living, which is why global warming is such a serious threat to its well-being." ~NWF. However, polar bears are just the tip of the iceberg. Learn more.